Down & Out Books, 9781943402670, 280pp. 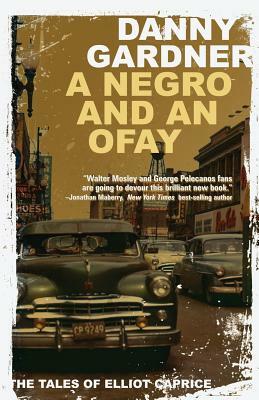 In 1952, after a year on the run, disgraced Chicago Police Officer Elliot Caprice wakes up in a jailhouse in St. Louis. His friends from his hometown secure his release and he returns to find the family farm in foreclosure and the man who raised him dying in a flophouse. Desperate for money, he accepts a straight job as a process server and eventually crosses paths with a powerful family from Chicago's North Shore. A captain of industry is dead, the key to his estate disappeared with the chauffeur, and soon Elliot is in up to his neck. The mixed-race son of Illinois farm country must return to the Windy City with the Chicago Police on his heels and the Syndicate at his throat. Good thing he's had a lifetime of playing both sides to the middle.